You are at: Home / Economy / Features / Working-class homes or millionaires' mansions - what's going under the hammer in property auctions? Working-class homes or millionaires' mansions - what's going under the hammer in property auctions? On Wednesday 21 March, a familiar scene played out outside the offices of a notary in central Athens. A few dozen protesters organised by the anti-austerity “I Won’t Pay” movement and the political parties Popular Unity and Course for Freedom clashed with police as they tried to obstruct the scheduled auctions of foreclosed properties. Since February 2018, all auctions of repossessed properties are conducted virtually, on the electronic platform that has been set up for that purpose, and the same will also apply to assets seized for debts to the state starting in May. However, physical protests continue to take place outside the offices of the overseeing notaries. The protest organisers in this instance claimed the two auctions overseen by the notary on that day were of low value properties, while they noted the same office was responsible for the postponed auction of a modest first home. Their claim directly contradicted a pre-emptive announcement issued by the body representing the notaries, which claimed the properties in question were being auctioned for debts of over one million and 3.4 million euros respectively. 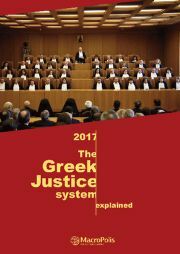 The leader of Popular Unity, Panagiotis Lafazanis, a former SYRIZA minister who left the party after the September 2015 elections to continue pursuing an anti-austerity agenda, has lodged a legal complaint against the electronic auctions, arguing that they are illegal and unconstitutional. Along with Zoe Konstantopoulou, who served as parliamentary speaker during SYRIZA’s first term, the two have found common cause in anti-auction protests, where they consistently argue that “hundreds” of working-class homes are being seized and sold illegally for a pittance by bankers and their agents. The notaries’ representatives and sections of the press, in turn, have sought to sway public opinion against the protesters along similar lines, often cherry-picking household names of businesspeople or celebrities from the lists of defaulters. Away from the tear gas, the political rhetoric and the gossip pages, it is in fact possible to get a clearer picture of what is transpiring at the auctions by sifting through publicly available information. Auction lots are listed on a dedicated electronic platform, which gives open access to basic information on the identity of the borrower and the lender pursuing the auction, the starting price, and excerpts of the documentation describing the asset and any encumbrances against it. The e-auction platform currently lists just over 5,000 lots, which are regularly added to, as banks alone are under pressure to auction at least 10,000 foreclosed properties in the course of 2018 as part the latest agreement with Greece’s creditors. In addition to banks, private creditors can also seek to recover claims through auction, though these make up the minority of auctions so far. We looked in some detail at two successive Wednesdays in the past month, Wednesday being the busiest day of the week for auctions, and therefore the most likely to be representative of the overall picture. The published list for March 21 included 283 unique lots with an average starting price of 220,206 euros, and for March 28 there were 240 lots with an average starting price of 230,171 euros. The first observation to make is that there is great disparity in the starting prices for individual lots. At the top of the scale are a hotel complex (27.8 million euros), a factory (3.3 million euros), a school complex (2.9 million euros), a luxury residence (2.64 million euros), prime retail space (2.4 million euros). There is even a passenger ferry with a starting price of 2.2 million euros. At the bottom of the price range are storage rooms for under a thousand euros apiece, and individual parking spaces starting at just over a thousand euros apiece. The delinquent borrowers are by no means all individuals. On March 21, 32 businesses accounted for 106 lots, while 75 individuals were named against a total of 177 lots. On 28 March, there was a similar split. Out of the total 240 lots, 43 businesses accounted for 92 lots, while 75 individuals accounted for 148 lots. Furthermore, among the individual borrowers several have multiple properties against their names. On 21 March, at least 24 individuals have more than one property listed, while on 28 March there are at least 18 individuals whose names appear against multiple properties. Some of the individuals clearly held large property portfolios. In one instance, a single person is named against 34 lots, which include several units in a high-end residential development, with a combined starting price totalling over 3.4 billion euros. At the other end of the scale are the smaller debtors. When the government has spoken about protecting small homeowners, they draw the line at homes worth up to 300,000 euros. Using this rule of thumb, up to 88 individuals in the two sample auction lists could potentially fall into this category, owning a single property with a starting price below 300,000 euros. However, by looking more closely at the listings that number can be narrowed down to a handful. Many of the properties in that price range are plots of land, shops and other commercial premises, or second homes in resort areas. In other cases, the owner’s address is different from that of the listed property, suggesting that it was an inheritance or an investment rather than a primary residence. While one cannot say categorically that there are no first homes included in the auction lists, they would appear to be a vanishingly small minority. The fact that struggling borrowers aren’t finding themselves in the first line of fire may have less to do with government policy or fear of public reactions, and more to do with the bottom line of the banking business. The outcomes of the auctions themselves are quite telling. The properties which find themselves on the virtual auction block are hardly selling like hot cakes. On every auction date, a significant number of the auctions fail due to lack of bidders (96 on March 21, and 92 on March 28). It is worth noting that at this point in time starting prices are expected to reflect the current market value of the auctioned assets. In a large number of cases, the banks themselves are said to be the successful (and only) bidders behind the completed auctions. According recent press briefings, the banks are determined, if necessary, to buy the majority of properties sold at auction this year, up to 8,000 of the total 10,000 which they are committed to offload. In addition to reducing the volume of non-performing loans on their books, they believe that this strategy will prevent a price collapse in the property market, while forcing strategic defaulters to come forward to settle their debts. The prospect of a large proportion of auctioned properties ending up in their own property portfolios would seem to further incentivise the banks to focus first on the “low hanging fruit”, the commercially attractive properties which would be saleable at the first sign of an uptick in the market, rather than the political hot potatoes that are the homes of struggling families. Auctions conducted by the Greek state to recover unpaid taxes and social security contributions are not subject to any kind of legal constraints resulting from the protection of debtors. The Independent Authority for Public Revenue (IAPR) can technically auction confiscated property for debts starting as low as 500 euros. In practice, however, it has been slow to do so, and its guidelines permit tax officials to exempt primary residences from being included in auction schedules. 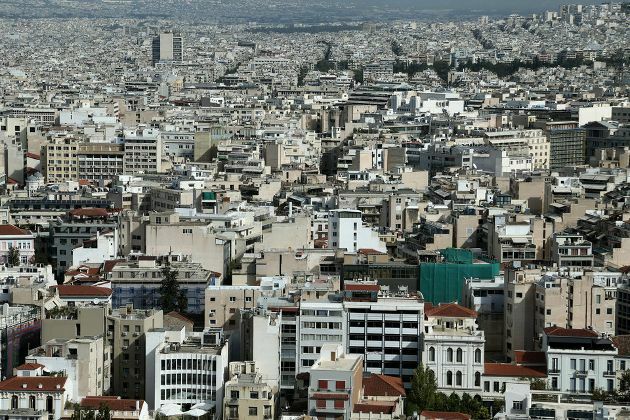 According to a statement to Parliament by the Deputy Finance Minister Katerina Papanatsiou, the state held a total 11 auctions in 2016 for debts between 733,000 and 8 million euros, while only eight auctions were conducted in 2017. The first phase of state auctions scheduled for 2018 is said to include up to 2,000 properties relating to debts in excess of 50,000 euros. The list of auctions scheduled by the IAPR for April and May comprises just 15 lots, of which six are commercial properties, two are plots of land, and the rest is made up of one luxury residence and one luxury property development. The lowest starting price is 2,100 euros for an ancillary space attached to a residential unit, and the highest is at 982,000 euros for a factory set on 25,000 square metres of land. The majority have been seized from businesses. While repossessions are never a happy story, the evidence at present does not support the nightmare notion that struggling families are having their homes seized to plug holes in the banks’ balance sheets; but neither are “big fish” strategic defaulters the only targets of auctions. For the time being, business assets, commercial property and second homes across a wide price range are being put up for sale with varying success. The process looks set to continue for some time to clear the mountain of debt that has accumulated over the eight years of the crisis. The question is, will the economy recover before the banks start to approach the bottom of the barrel for properties to auction?